Xozz Review 2019: Is Xozz a Good Hosting? Xozz.com started out as a simple reseller host that wanted to offer high-quality hosting services at affordable prices. They now own over 250 of their own servers and host 250,000 websites out of three data centers. Xozz.com began with a simple mission back in 2006: they wanted to challenge the existing web hosting giants in the market that had been getting away with selling overpriced and underperforming hosting services. Beginning as a simple reseller host, they quickly expanded after developing a reputation for their affordable high-quality hosting services. They now host 250,000 websites on over 250 servers housed in three different data centers. Xozz is headquartered in India. One of the main selling points of Xozz.com is that all of their shared, reseller and cloud hosting packages offer unlimited space, bandwidth, databases, and email accounts. 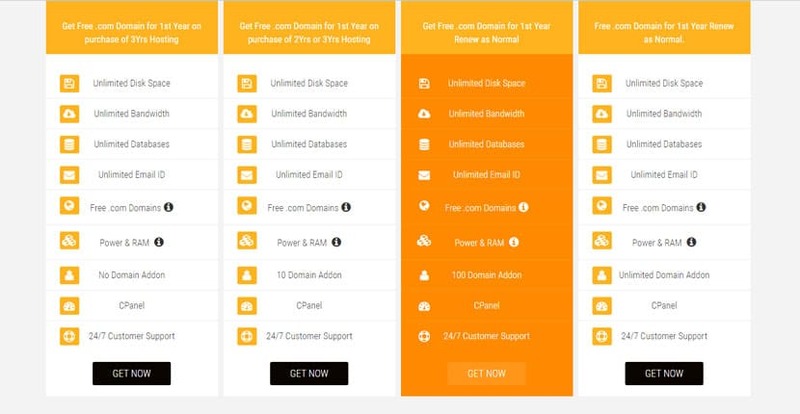 The main variation between their plans is the number of hosted domains per account, number of cPanel accounts, and how long a contract term you have to purchase before you get a free domain registration. This rarely-found perk is the likely reason why they’re so popular amongst their Indian customer base. All of their servers run on SSDs and have built-in DDoS attack mitigation, firewalls, and threat management systems. They also include an easy application installer with their hosting packages. Unfortunately, they don’t provide SSL certificates, so you’ll have to get these from elsewhere. One huge downside is that their shared servers appear to have a number of spam websites. This means that their email-sending reputation has dropped drastically, and most emails sent from domains hosted on their servers will register as spam in your customers’ email accounts. Xozz.com offers a 99.9% uptime guarantee for their shared, reseller, and cloud hosting services. There doesn’t appear to be any such guarantee for their VPS and dedicated server packages. At first glance, Xozz.com’s prices look too good to be true: there aren’t many hosting providers that would offer unlimited space, bandwidth, databases, and emails for less than the cost of a cup of coffee every month. Given such low rates, it’s almost excusable that they don’t have a free hosting plan or any money back guarantee. But here’s where it doesn’t pay to go for the cheapest possible web hosting package: many users report that Xozz.com frequently changes their servers, which means some downtime and the inconvenience it causes you in having to update your nameservers accordingly. Further, it appears that their data migration protocols aren’t the best: they tend to lose website data every time they change servers, and they sometimes forget to inform their customers when they do so. Xozz.com purports to offer round-the-clock support via telephone, live chat, and support tickets. You’ll have to log in to submit a ticket. To be honest, my experience with their customer support wasn’t fantastic. There seemed to be a language barrier when I contacted them, and I had to repeat my questions several times before they finally understood what I was saying. Phone support was similarly inadequate. Xozz.com may have started out with the best intentions, but they seem to have fallen short of their mark. Their packages are definitely highly affordable though, so some may feel that this outweighs their poor service and customer support. Wondering how Xozz stacks up against other Web Hosting companies? Enter any other Web Hosting company and we will give you a side-by-side comparison.